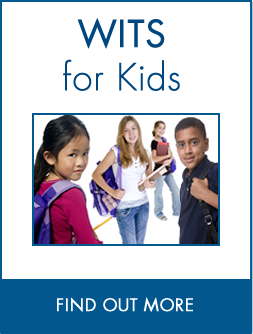 Almost all of the WITS Programs resources are available free-of-charge on this site. 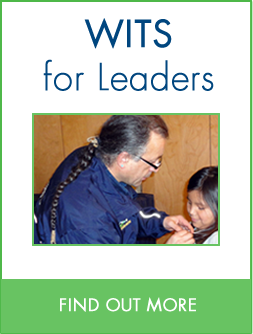 You can download the full resource guide, as well as individual lesson plans, complete online training for teachers and community leaders, watch videos and print off posters and pamphlets. Only the WITS Books and reminder gifts are not available free-of-charge. Where can I purchase books for the WITS Programs? 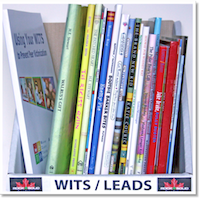 Many of the books used in the WITS Programs are popular children’s books that are readily available in school libraries. The WITS Books Checklist can be a helpful tool to determine which books are already accessible and which you might like to purchase. One place to start shopping for WITS Books is your local independent bookstore. Find a list of Canadian Independent Bookstores here. Another place you can look for WITS Books is Amazon. Remember: you don’t need all the books to start using the WITS Programs. 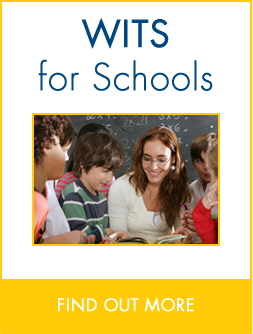 The programs work best if teachers use at least one WITS book a month with their students. 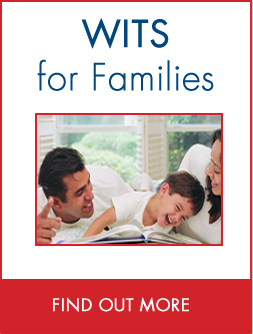 That means you can get WITS up and running with just 10 WITS books and then build your collection as time goes on. Where can I purchase additional WITS materials such as the reminder gifts? Reminder gifts, a variety of which are pictured at left, are distributed to students during classroom visits by community leaders. Provided by the WITS Programs Foundation, these gifts reinforce the WITS message by providing a tangible reminder to students to use their WITS on a daily basis. When students bring the gifts home, they also act as a conversation-starter with parents to get them talking with their kids about WITS. The WITS Programs Foundation orders reminder gifts in bulk and can therefore offer them to schools at a reduced cost. Visit the shop or contact us at orders@witsprogram.ca for more information. 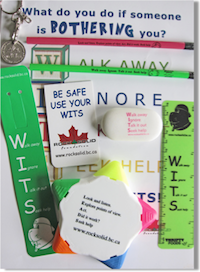 Some schools have also created their own unique WITS Programs reminder gifts and had them manufactured or printed locally. Where can I find funds to purchase the WITS Books and additional resources? If your school requires financial assistance to cover the cost of WITS Books and reminder gifts, try contacting local service clubs, RCMP detachments, or businesses, such as grocery stores or banks, for support. The WITS Programs Foundation has also been successful in assisting schools with fundraising efforts. Contact us at info@witsprogram.ca to learn more about fundraising initiatives, grants, and sources of potential funding in your community.